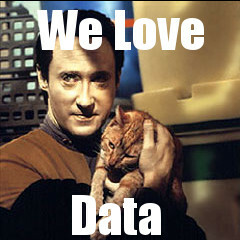 Here at Mockingbird, we love data. We love data because data allows us to make decisions based on what works, rather than what we think might work. We love data because it allows us to explain to our clients why they should be spending less time, money and effort on X while spending more on Y. Have I mentioned that we love data? Ok great. This love for data is why all of our clients have their phone number displayed clearly at the very top of their website – and not just any number, a call tracking number. Your ROI on said client. Don’t go calling your phone company just yet… This is all done by using call tracking software, which masks your firm’s main telephone number with a unique (sometimes toll free) tracking number. This number changes based on how that person found your website, allowing the software to track how many calls came from AdWords vs. Bing Ads, and so on. Panicking at the thought of losing your catchy number? Take a couple deep breaths; it may not be as important as you think. I have a confession: I have no idea what my girlfriend’s phone number is. I think it starts with a two. I have another confession: I call my neighborhood Teriyaki restaurant once a week. I don’t know their phone number, either. If a number is really important to me, like my girlfriends’, I save it in my phone as a contact. If it’s not so important, like the teriyaki restaurant, I do a quick Google search for their name, and then click-to-call their number. On the rare day I’m without my cell phone, I search for phone numbers on Google, and then immediately dial – retaining the numbers just long enough to press each button. I like to think I’m using this brain space for more important things (maybe I’m not). My behavior is representative of many people in 2015, and brings up a noteworthy point: information is so accessible these days that the actual phone number is becoming less and less important. Gone are the days of keeping a Rolodex. Now, we can easily save a new phone number into our phone or quickly look it up through search. And unlike humans, computers don’t care if that number ends in 1-2-3-4 or rhymes with “DUI”. Area codes can factor into your local search efforts, so you should have a local, direct phone number that rings to your law firm. Use this number in all of your website directories (especially Google My Business). However, don’t let acquiring a local tracking number keep you from using call tracking software. Since they aren’t hard coded into your site, tracking numbers don’t affect local search efforts. Additionally, they’re highly dependent on what the phone companies release to the public/tracking companies, so you could be waiting a while. Whatever you do, don’t hard code a bunch of different numbers in a bunch of different places. Make it as easy for Google to connect the dots. Call tracking software doesn’t actually change the phone number on your site, it just masks it; your NAP (name-address-phone number) consistency is safe. We use Avvo Ignite whenever a firm lacks an intake process. Avvo understands lawyers. They also understand SEO. They’ve put both of these things together and made a product that can help a firm not only track the number of leads, but the leads within the purchasing funnel. Warning: you have to use it to get the most out of it. When intake software isn’t necessary, or when a client doesn’t utilize a majority of the features within Ignite, we also recommend Call Rail. This product seems to have a nice selection of local and toll free numbers, and integrates very easily into WordPress via a plugin and API key. As an added bonus, it plays well with multi-location firms with more than one number displayed throughout your website. There are many, many more companies that offer solutions similar to the two above. What call tracking software is your firm using and which channel is driving the most leads? If you’re not sure, we’re happy to help you figure that out. Don’t listen to Tommy Tutone, Jenny. Change your number so you know how your potential clients are finding you. It will help make you more successful.